The Valmont Zip Front Sports Bra 1611 features lined, molded cups for the support and fit you need. Valmont Zip Front Sports Bra features soft, breathable fabrics and thoughtfully positioned smooth seams to minimize irritation of sensitive skin. This separating zipper with lock-down zipper pull has a generous interior flap that prevents chafing. 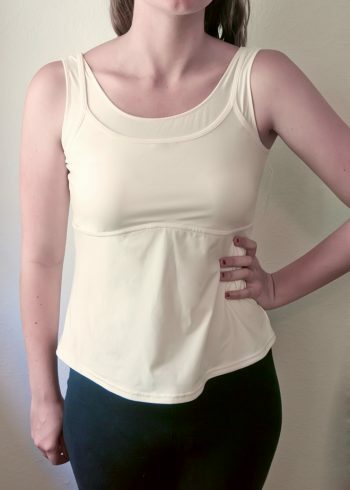 This sports bra provides lined, molded cups for the support and fit you need. Stabilized straps offer added support and minimize movement. The mesh racerback provides breathability when you need it. Soft, breathable fabrics and thoughtfully positioned smooth seams minimize irritation of sensitive skin.